I used to be a photographer back in the day when film was king and digital was just whispers in the dark. But I haven’t picked up a camera in 25 years. Lately I’ve been wanting to get back into photography and learn digital. Today I discovered your work, and My pulse quickened as I drew in a deep breath. 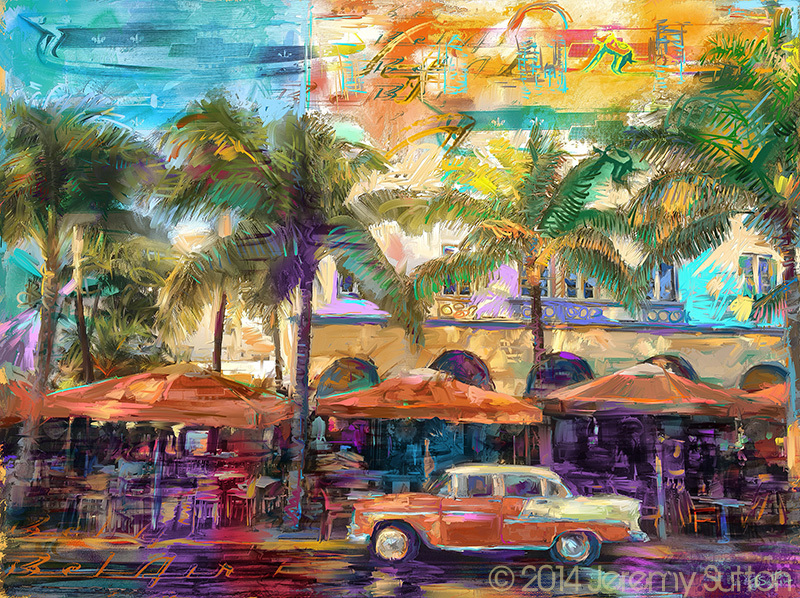 These classic cars against the backgrounds of art deco style hotels bathed in rich, warm Miami sunlight, with your interpretation, truly moved me! I’m inspired!!! Thank you. Thank you, Duke, for your very kind words. I am so glad you enjoy my interpretations of those magnificent classic cars juxtaposed in front of the beautiful South Beach Art Deco hotels.